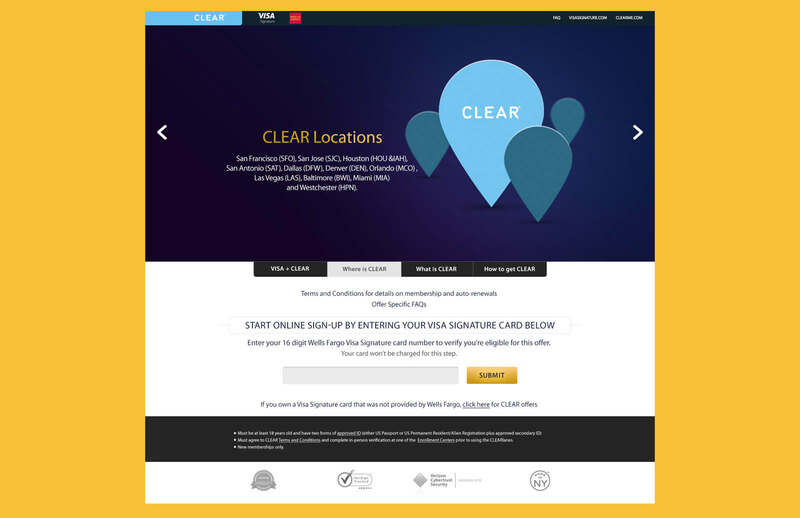 Visa tasked me to create a campaign for their Visa Signature CLEAR Card Program. 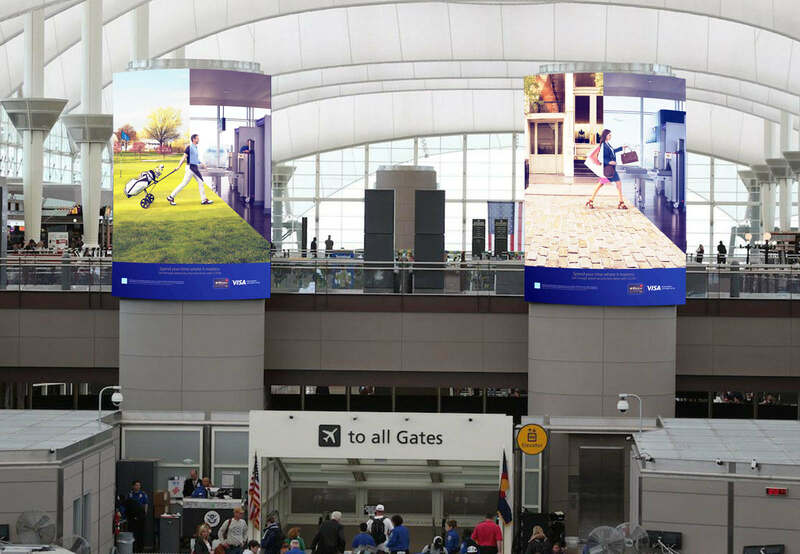 Appearing as animated digital billboards, static billboards, social media, banner ads, CRM, and a microsite, I used visually arresting imagery to show how Visa CLEAR is revolutionizing air travel by getting you through airport security lines faster. 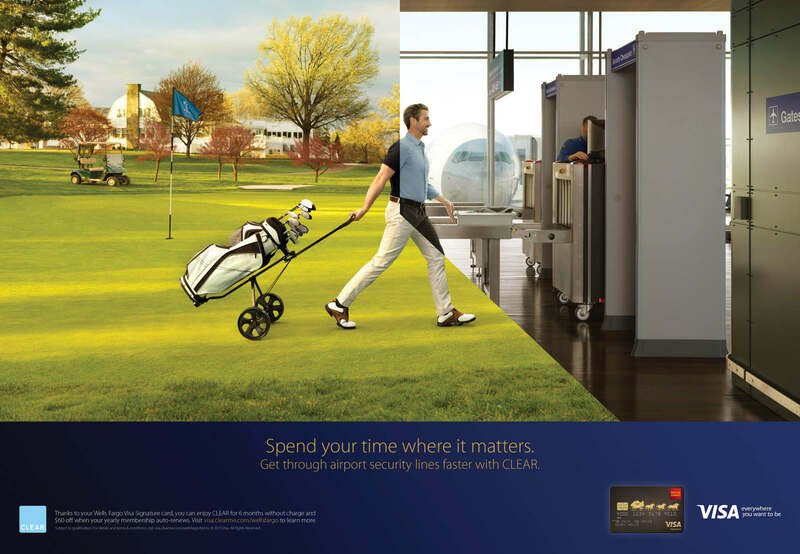 So you can spend more time where it matters most. 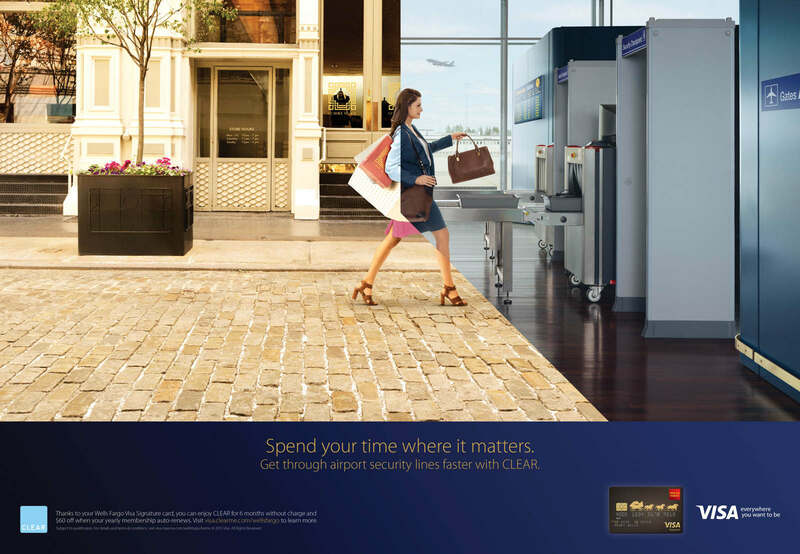 Billboards were displayed in 11 airports across the country. By incorporating a "time sweep" wipe, I highlighted the ease of transitioning from where you want be, to where you need to be. 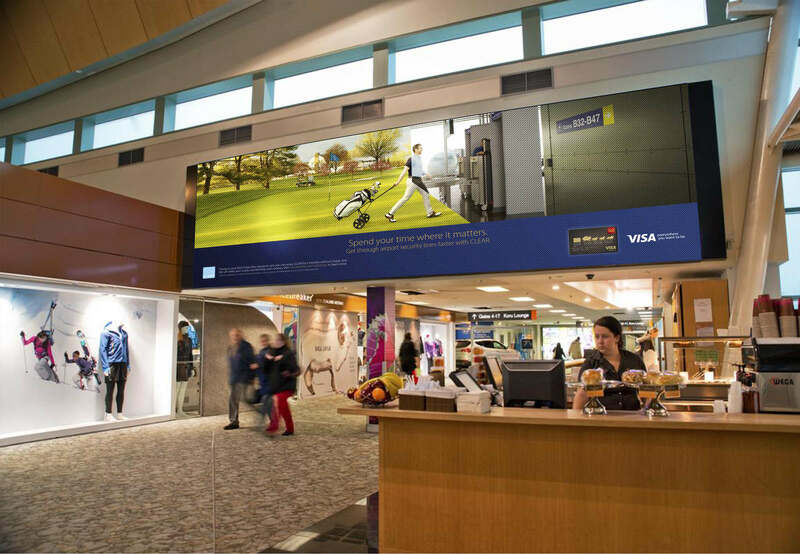 Leveraging Visa CLEAR's ability to help customers get through security faster, I focused on the pain point of long, airport security lines to give passengers a little comic relief while they waited. 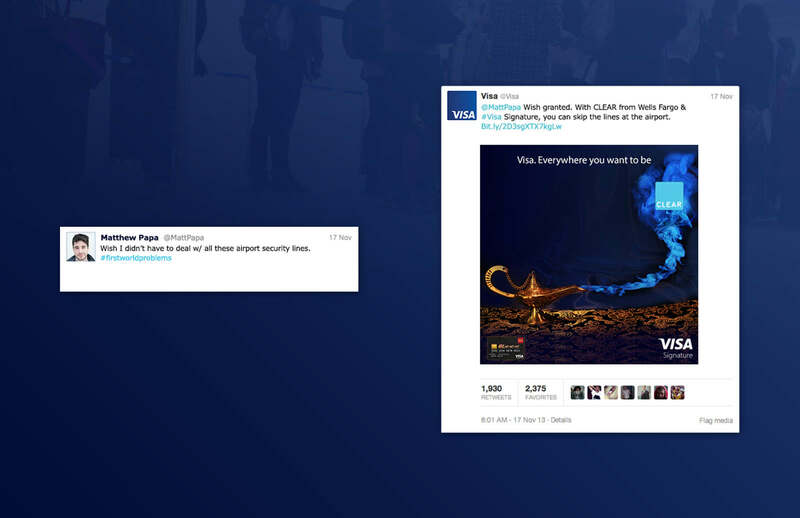 Our social team would scour twitter for "pain point hashtags" and create customized responses. 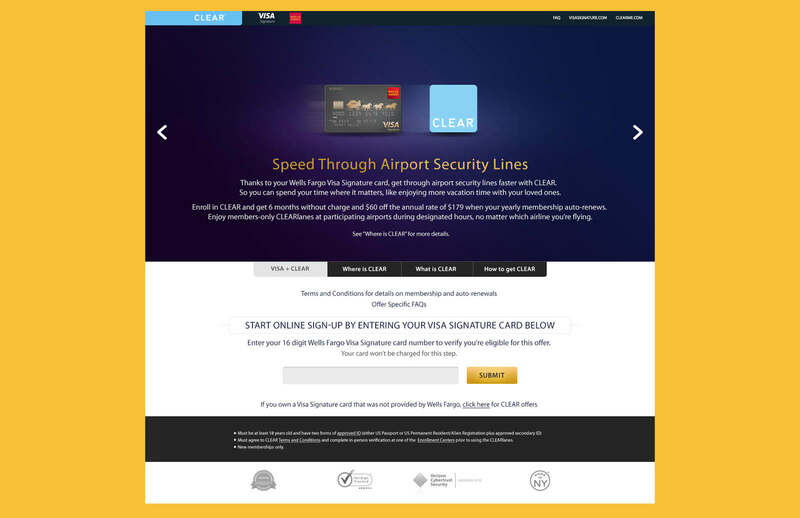 Digital billboards, static billboards, social media, banner ads, and CRM, highlighted the benefits of expedited airport security and drove consumers to the a microsite where they could learn more about the Visa CLEAR Program and become members. With a wink and smile, I reinvented the standard enrollee offer by creating a Kickstarter campaign that flipped-the-script on donating. 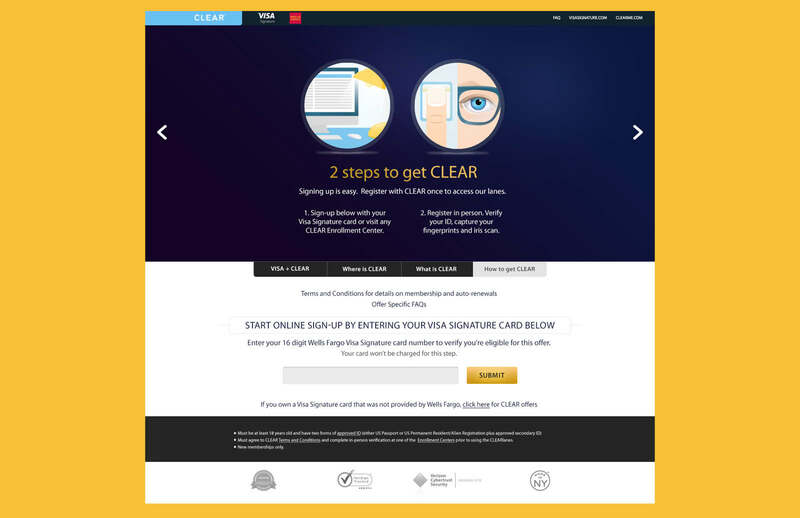 With a $1M cap, Visa's offer would award a $10 credit to the first 100,000 enrollees. 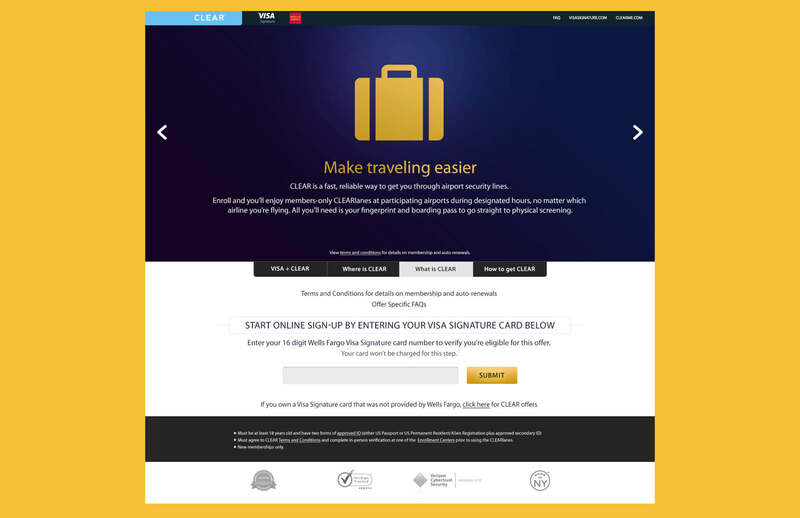 Therefore, instead of asking for donations, Visa would donate $10 to whomever enrolled in Visa Checkout. 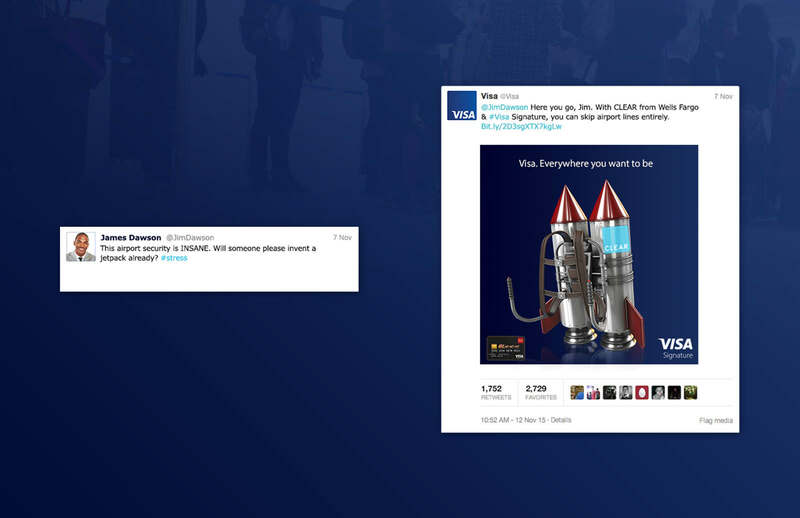 Once again, I strove to utilize non-traditional social means to promote Visa Checkout's $10 credit offer to new enrollees — creating a humorous, tongue-in-cheek, in-app engagement to attract our older millennial demographic. The easier way to pay online presents an easier way to get "hooked-up." 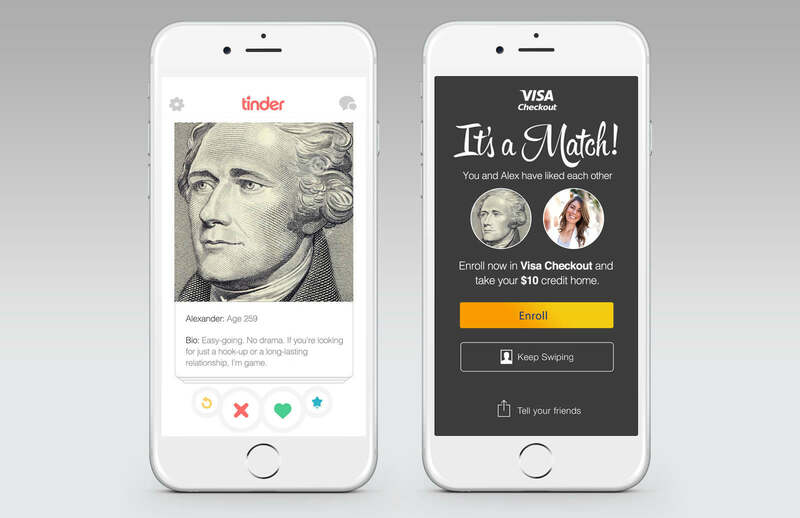 Using Tinder, I created a monetary version of Alexander Hamilton. Swiping right, would allow the user to enroll and receive their $10 credit. 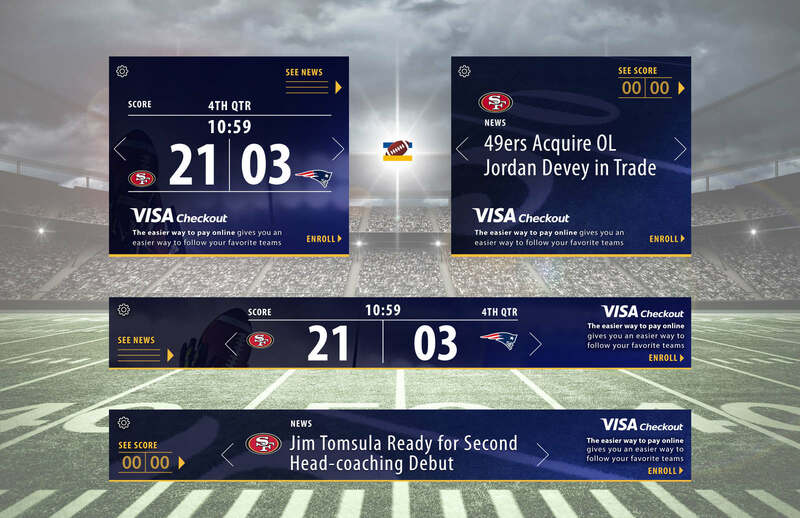 Tasked with promoting Visa Checkout's sponsorship of the 2015 NFL season, I went beyond a mere digital play and developed an entirely new advertising platform — bringing users up-to-the-minute news, scores, and team highlights, in the places you’d least expect it — banner ads. 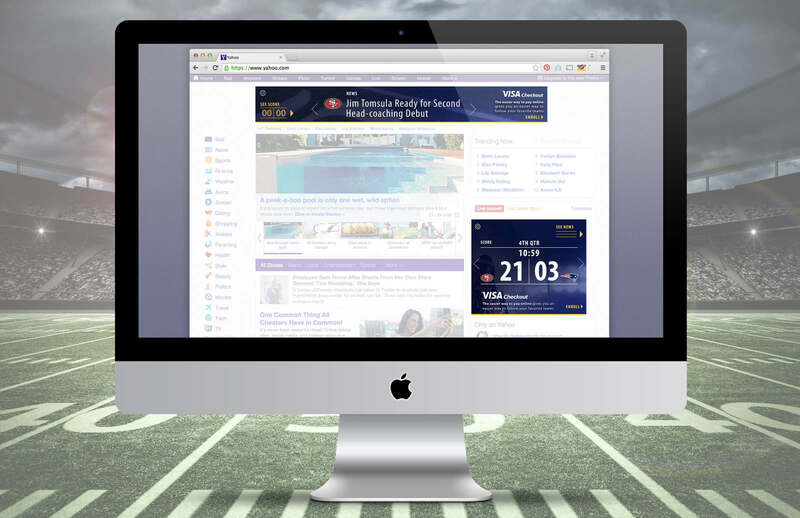 Available on Mozilla and Google's Chrome store, this downloadable browser extension would automatically change banner ads on any website into a customizable, Visa Checkout-branded, sports platform — providing ongoing utility that extends far beyond mere adblocking. 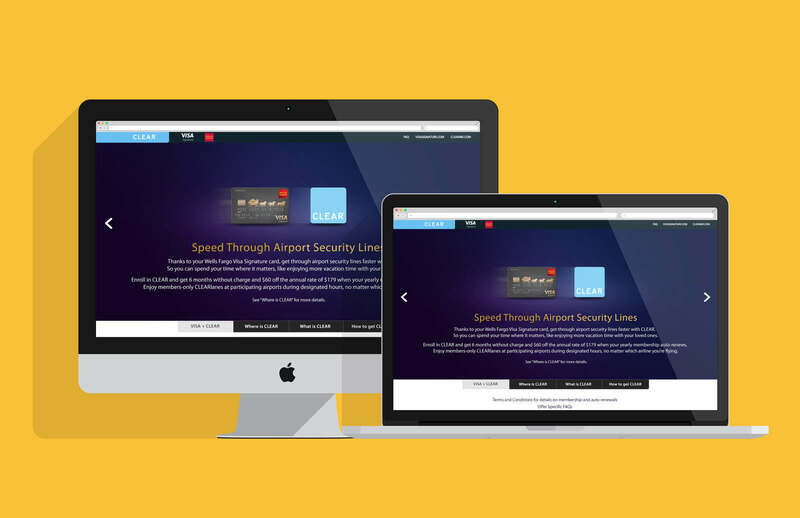 "The easier way to pay online gives you an easier way to follow your favorite teams."